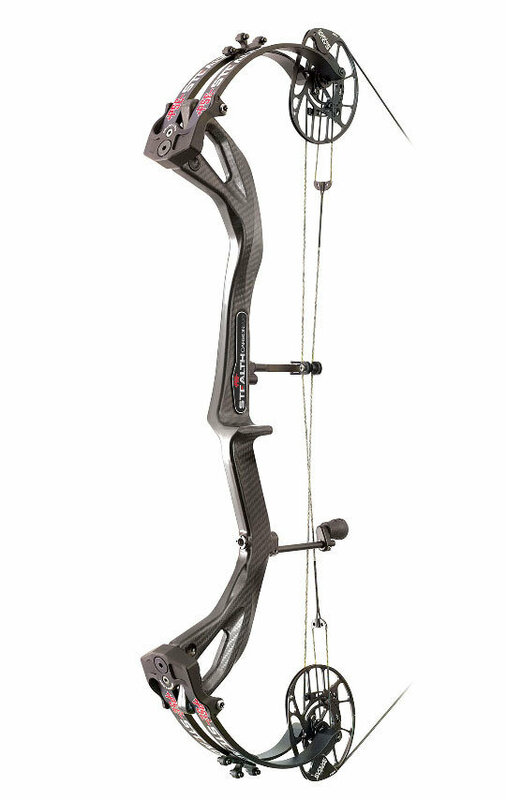 The 2019 PSE Carbon Air® Stealth reigns supreme as the most advanced carbon bow ever made. Engineered on an upgraded monocoque carbon riser, the Stealth is built from a single piece of carbon, making it stiffer and stronger than other carbon risers…and with our proprietary S-RAC technology core, this bow is both unbelievably light at 3.3 lbs. and dead in the hand. The Stealth also features PSE’s Wedge Lock Pockets for easier tuning, our new precision Flex Rod System, titanium hardware, and ultra-premium LiveWire™ strings. The Carbon Air Stealth EC model is powered by PSE’s Evolve® Cam System (ECS) and HL module, shooting at 342 fps with up to 90% Let-Off.